So the Miu Miu glitter sunglasses I had planned to post about are officially sold out everywhere and will soon be popping up on eBay. This means they are probably one of the most covetable accessories out there right now! 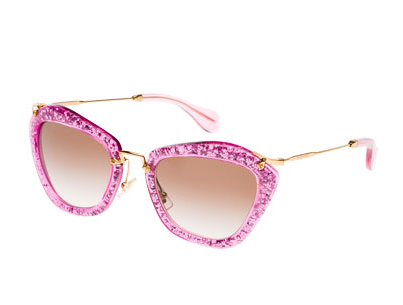 Well, lucky for you I've found a handful of glittery sunnies that may keep you happy if you can't find or afford the crazy $380 price tag. 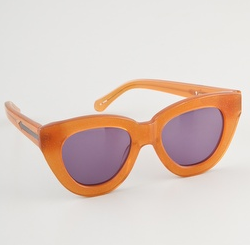 This Karen Walker pair isn't quite a glittery looking, but is in stock and will cost you $280 at ShopBop. 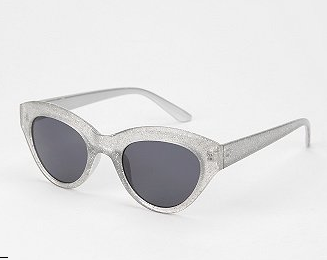 This pair comes in silver and gold and is on sale for just $7 at Urban Outfitters! Definitely a good buy if you want to have a little fun with your eyewear this summer!